Apologies for the delay in the posting. I have had some health issues recently as well as a hell of a lot to do at work - the cameras have been going nowhere for a bit. More posts coming soon I assure you. 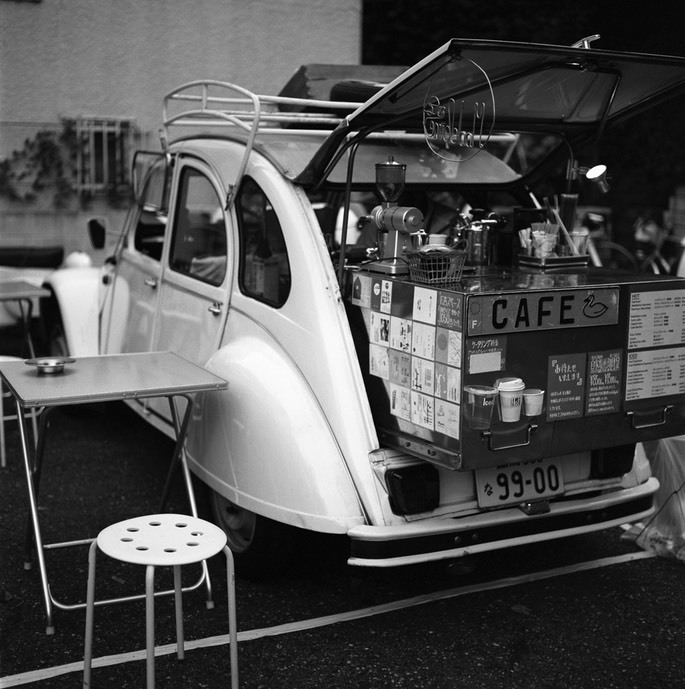 I really enjoy my medium format photography, and I have Hasselblad, Mamiya and Pentax systems for 6x6, 645 and 6x7 formats. It is hard to say which one I like the most, but the best results have come from my Hasselblad 500CM, which also gets the most use. It really works well with Black and White film, although the colour results are not to sniff at. It does take some expertise with the light meter as this is the most basic of all cameras. I use a Sekonic light meter and have just upgraded to a spot meter hoping that I can get even better results with that - but practice will be needed I am sure. Here are some of my random Hasselblad shots - some have appeared before here, but most are new to this blog…. One of my first shots when I moved to Japan 2 years ago. 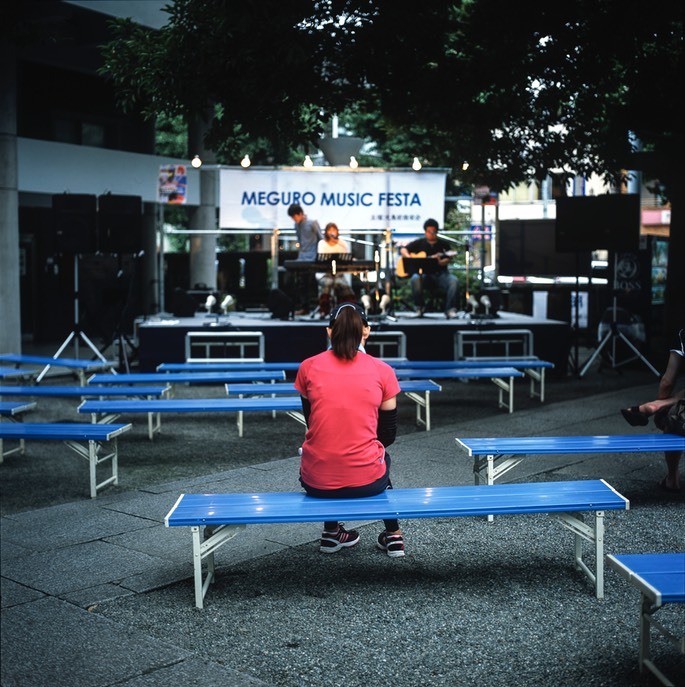 This is Fuji Velvia and shows a pretty quiet “Music Festa” at Ootrijinja in Meguro near my house. 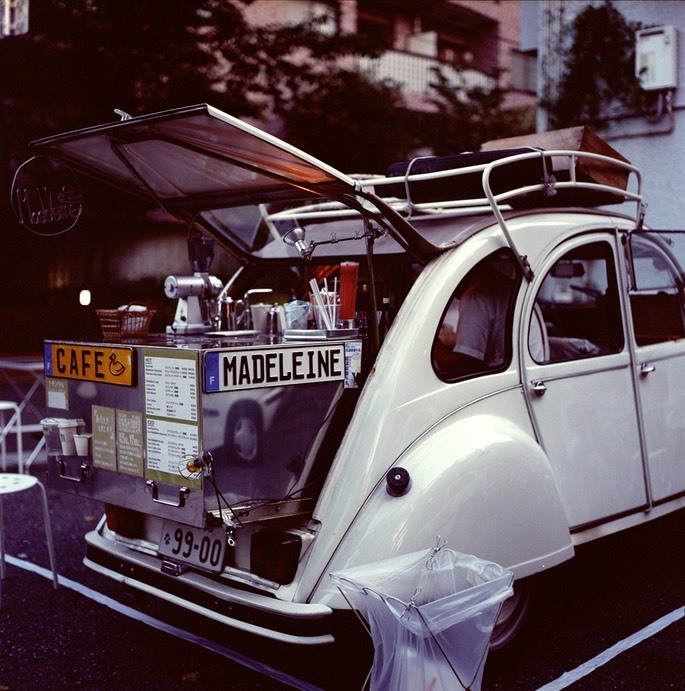 A converted Citroen 2CV in Nakameguro. Makes excellent coffee. This is the Black and White version. Kodak TriX 400. And here it is in colour. This time Kodak Portra 160VC colour negative film. Nakameguro. This cool looking restaurant actually has possibly the worst food I have ever had in Tokyo, matched by stunningly bad service. It is always full, so I guess the novelty of such a bad restaurant makes it popular. Kodak TriX 400. 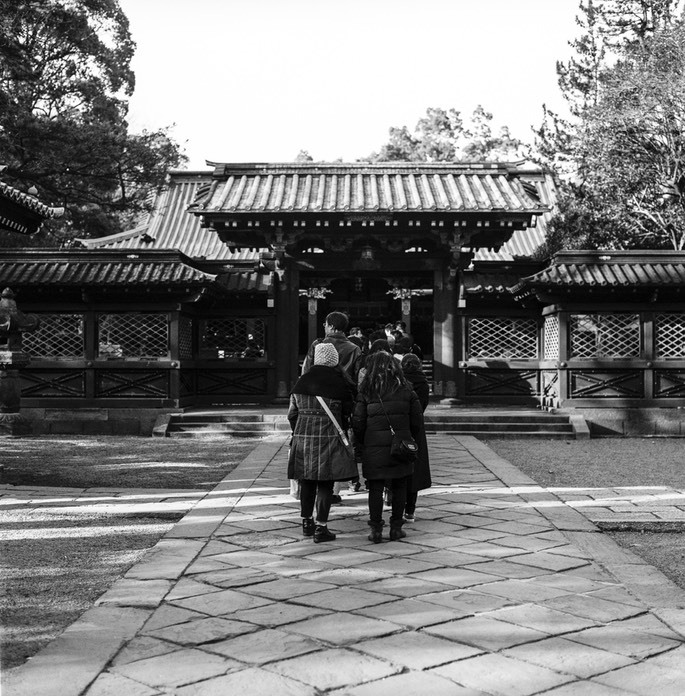 The shrine at Nezu. It is New Year so everyone is queuing to make their wish for the year. Kodak TMAX 400. 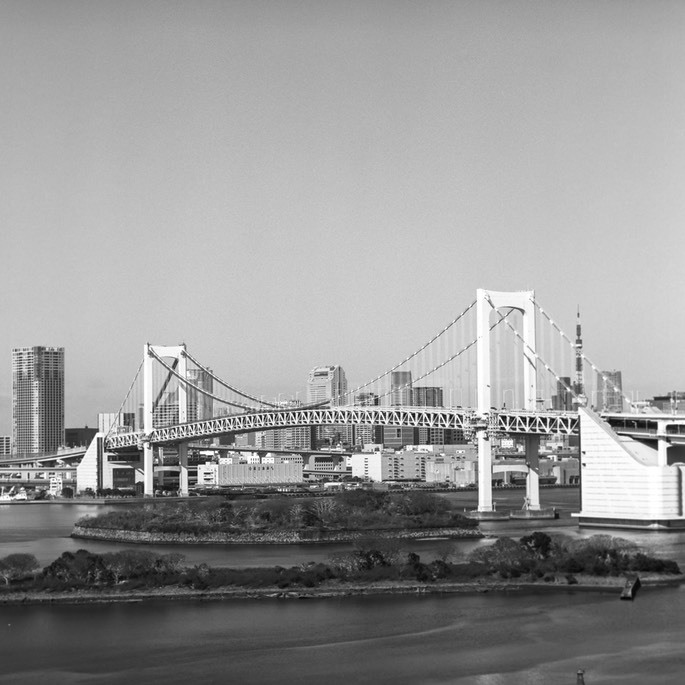 The Rainbow Bridge from Odaiba. Was out with Dave from Shoot Tokyo (www.shoottokyo.com) fame. This was a test with my new 150mm F4 Hasselblad lens. 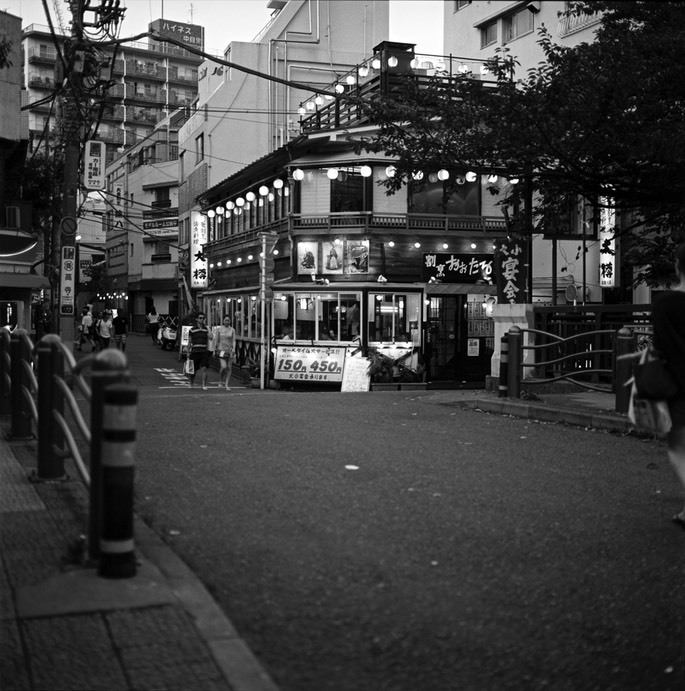 Ilford PANF 50 film. 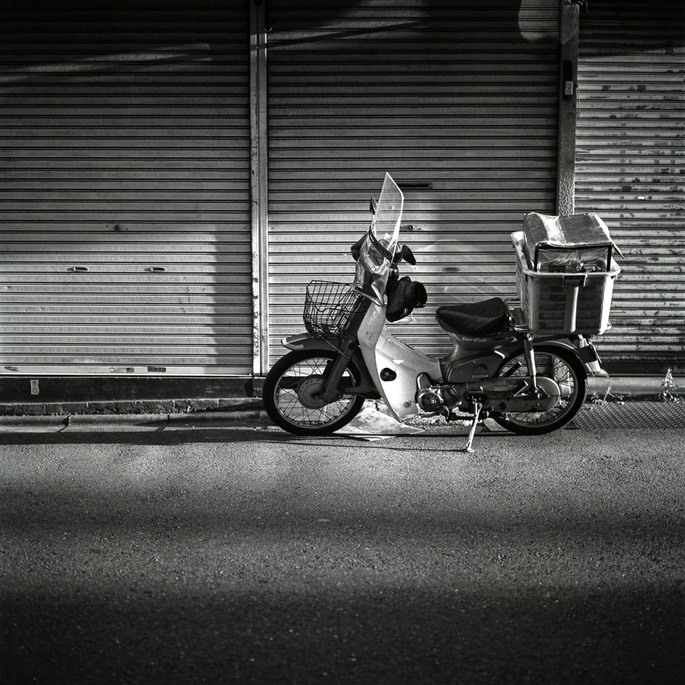 Delivery motorbike in Meguro. A very common sight. Kodak TMAX 400. 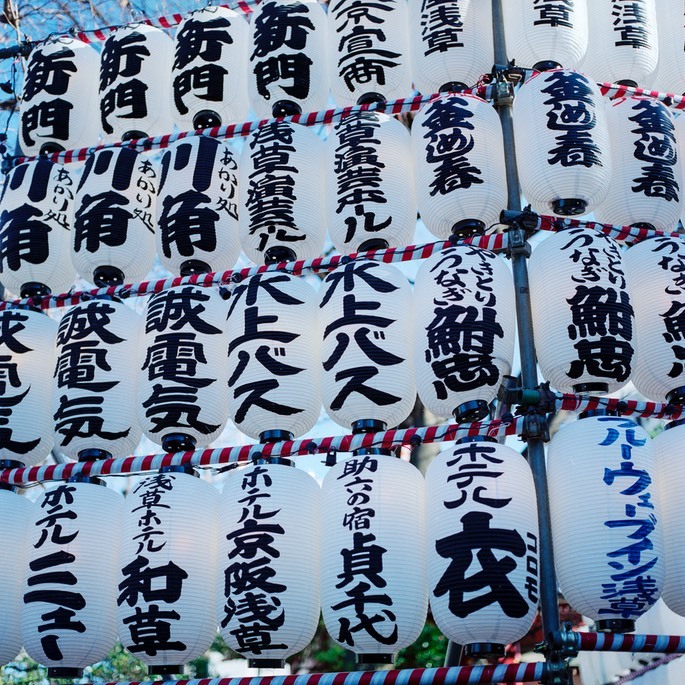 Lanterns for a festival at Asakusa. Fuji PRO400C negative film. 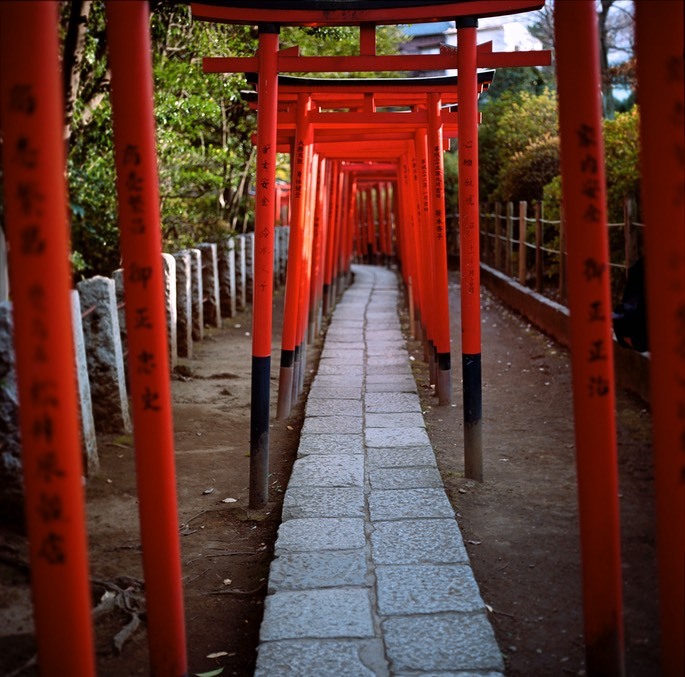 The Inari shrine at the temple in Nezu. Kodak Portra 160C negative film.